Well, it's April, and it's FINALLY starting to feel like spring is here in my neck of the woods. A cold spring, but as long as the snow is melting… It has been a long winter, and I am ready for some colorful flowers and green grass. 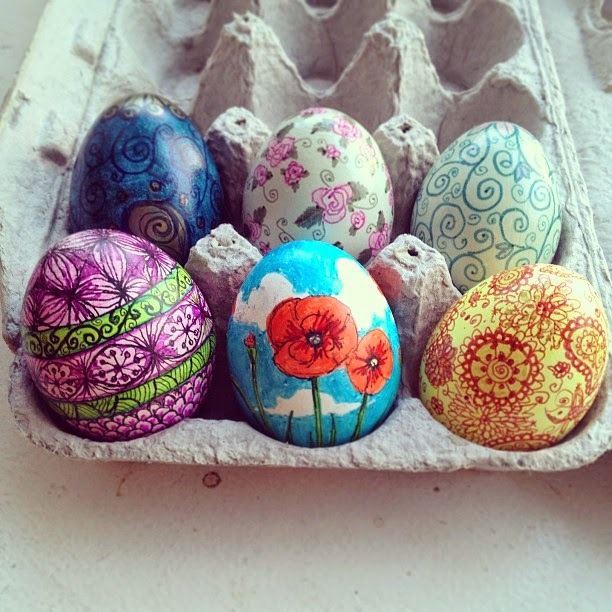 For the past few years now, I have enjoyed decorating eggs during the Easter season. 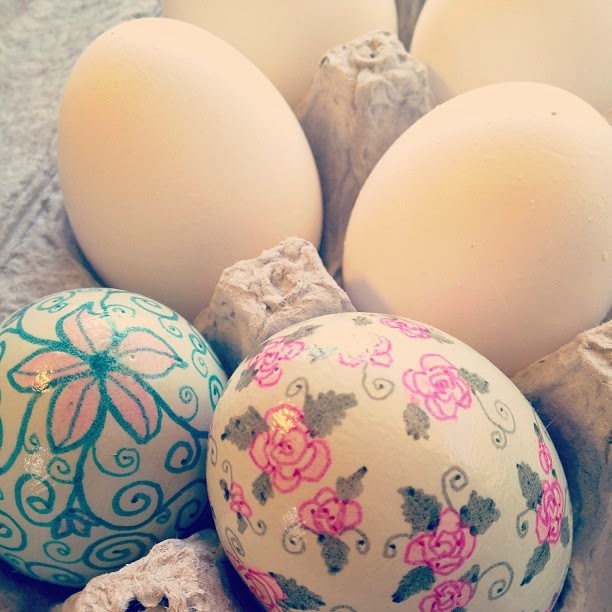 It's a fun way to express my love of pattern and color. 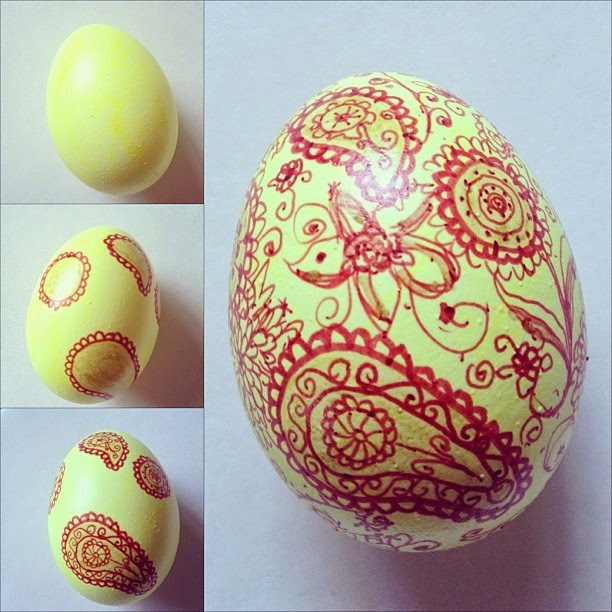 I try to pay special attention to each egg and make every one unique. Here are some that I've done in the past. 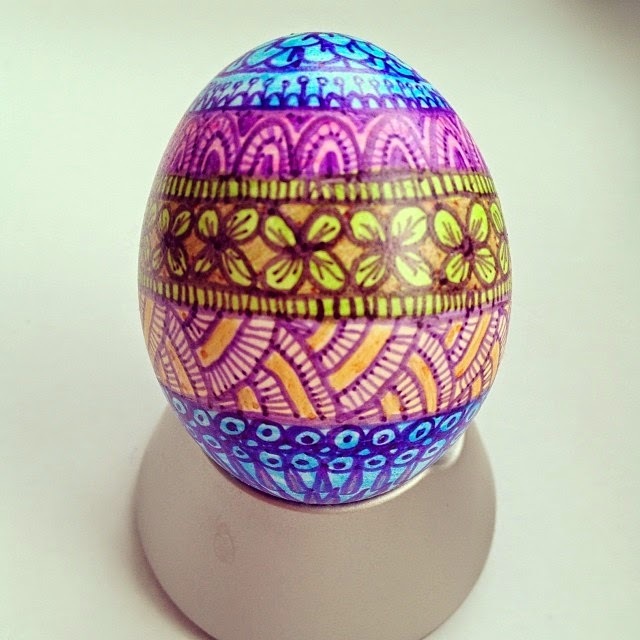 For most of my eggs, I just draw on them with permanent marker. 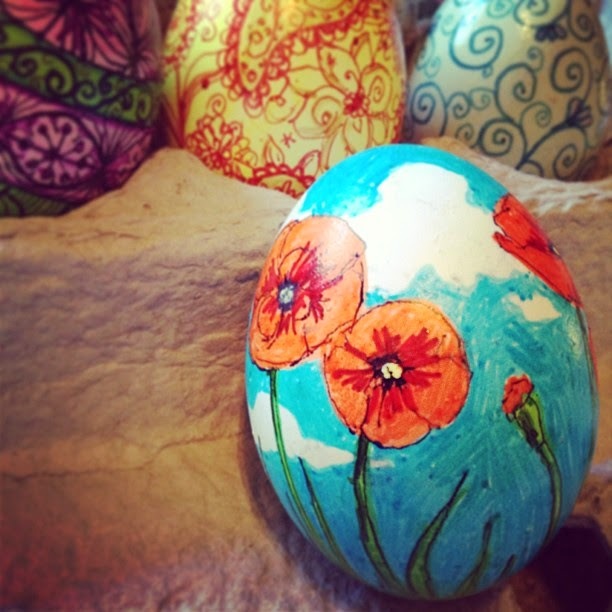 I haven't really experimented a whole lot with other techniques, though once I did use food coloring to paint on some Cadbury mini chocolate eggs, which kind of worked like watercolor paint. It was a lot of fun, and adorable! 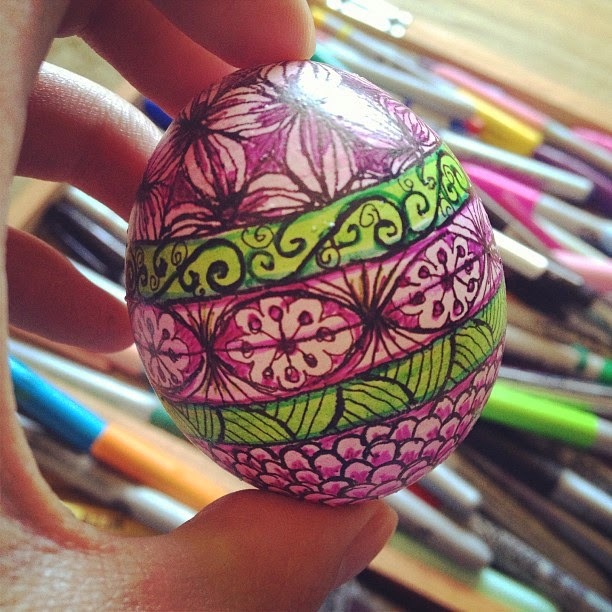 Usually I only do a few at a time, but this year I am going to attempt an Easter-themed doodle-a-day challenge. 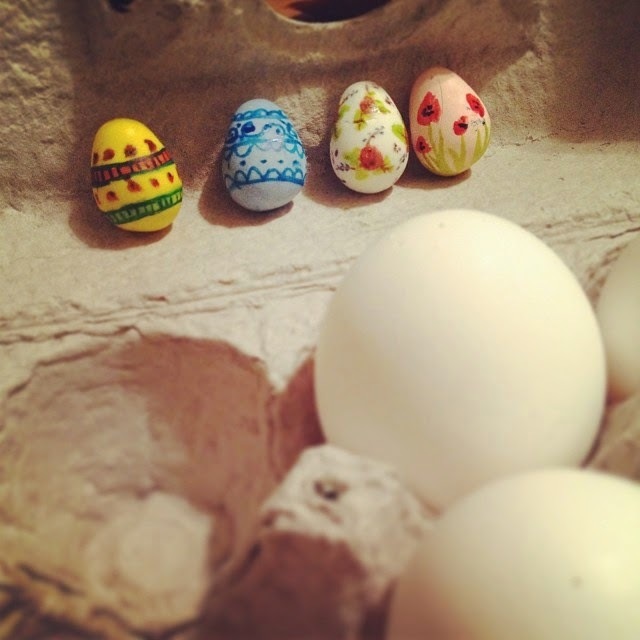 Hopefully by the time the holiday is here, there will be 20 eggs total. If you would like to follow along, I will be posting them via Instagram (username @nikijin, or on the web at instagram.com/nikijin). 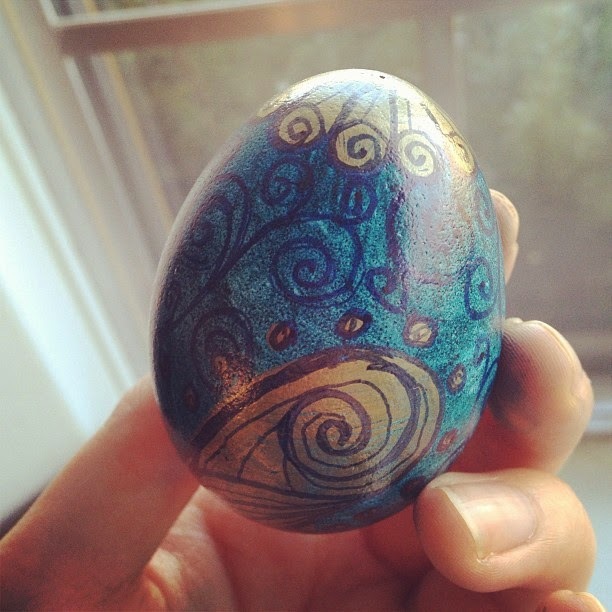 I also welcome anyone to share their own Easter egg creations with the hashtag #nikijineaster2014.